ChiroSolutions is an integrative health clinic that specializes in Chiropractic, Massage Therapy, Physical Therapy, and Physiotherapy services. 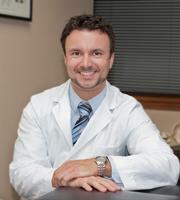 Our mission at ChiroSolutions is to offer our patients integrative, comprehensive, and individualized care. Offering a wide scope of therapeutic modalities gives our patients faster and longer-lasting results. ChiroSolutions, natural solutions for life. From Roosevelt Rd, turn north onto County Farm Rd. ChiroSolutions then a left onto Childs Street and then an immediate left into our parking lot. ChiroSolutions is located on the 3rd floor.